Are all your home’s exterior paint faded? How about the walls and ceilings inside of your house? Are they still pleasing for selfies? Well, Duffy Roofing and Restorations can repaint all of it in no time. We can manage to reach the sections that are hard to access. Either a new house painting or re-coloring the faded areas, our painters can make it good as new. Paint will also add years to your house from roof down to interiors. Enjoy taking selfies with a spectacular background accomplished by the finest painters in the state. You can count on Duffy painting skilled painters from simple, monochromatic painting job to the most intricate modern styles. Call us and avail our very affordable painting service. Pick the roof materials best suit for the climate. Eliminate the deteriorated roof and check the entire deck for re-fixing. Put in drip edge to prevent the water from coming back to the roof surface. Include ice and water shield to prevent moisture in the roof deck. Then install the fine underlayment over the entire roofing surface. Next is the ridge vent for correct ventilation then end it up at the proper disposal of wastes and debris. Give yourself a favor by choosing a licensed Alpharetta roofing contractor. This document is the basis of years in service and that they work under national building standards. The licensure is only provided by the state. It means the contractor passed the thorough examination and training of being a roofer. 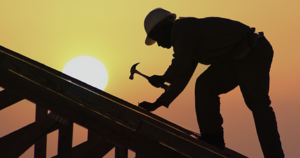 Certified roofers are well-oriented with the legal procedures and national building codes. Other states do not require licensing. It might be an advantage to roofers somehow, but non-qualified ones will not be filtered. Some states follow strict regulations and test the roofing professionals. Keep also in mind not to settle for one quotation if the company is not reliable. 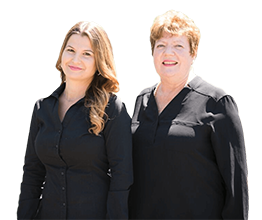 Review their website and references from previous customers for in-depth knowledge about the roofing contractors to hire.